The Kolkata leg of the current season begins with the native team, Bengal playing against the Tamil side in a Zone B match at the Netaji Subhash Chandra Bose Indoor Stadium in Kolkata tonight at 8 PM. Both teams are confronting each other consecutively for the third instance as previously they had faced each other in Match 112 last week. Bengal had superseded Tamils with a 28-21 win all due to the collaborative raiding efforts against Tamils. The team had scored 16 raid points against the Tamils at a meager 11 points. Mahinder Singh (7 points) and the replacement Bhupender Singh (5 points) were the top raiders for the Bengal that night whilst their captain Surjeet Singh was the top defender for them scoring 6 tackle points. The Tamil side ever since their defeat against UP have featured in any match. While their defense was on spot, Amit Hooda who scored yet another High 5, it was their raiding brigade who couldn’t give a performance par excellence and ended up managing only 13 raid points. Athul MS who was chanced failed to perform as he could manage only 3 points off his 10 raids. Hegde was disappointing and his run has also been out of form as he could score only 1 out of 9 attempted raids. 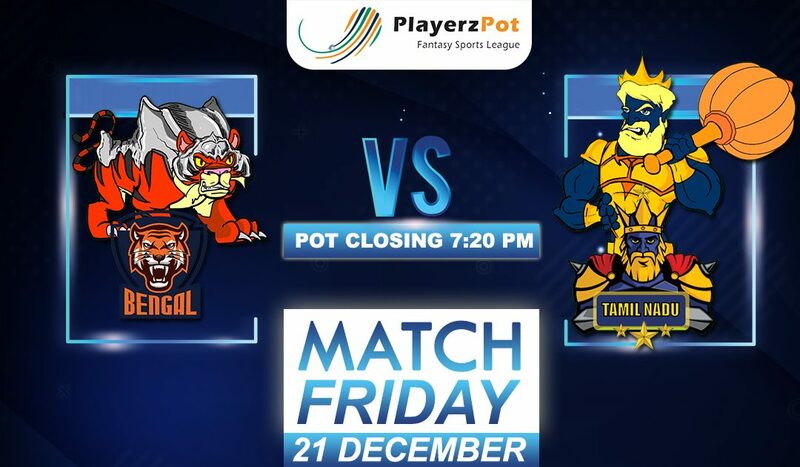 Both sides are facing each other for the third time and both occasions, Bengal has defeated Tamil thoroughly. Maninder will again be designated as the lead raider for the Bengal team and he should give a tough challenge to the Tamil side. Sukesh Hegde is the top raider from the Tamil side and he has shown some brilliant performances in the past and will be expected to show an impeccable performance. Hooda who has been seen as a strong defender and he would be depended upon to do well in this evening’s match. Surjeet Singh, the former Bengal team’s captain will be expected to pressurize his opponents with his immaculate defense tactics in tonight’s match. Chhillar has displayed a decent performance in almost all the matches so far for the Tamil side and will be expected to do extraordinarily well tonight too. Bengal again is likely to win tonight’s match.